Your favorite stoner will love opening this Hanukkah gift during the holiday season. 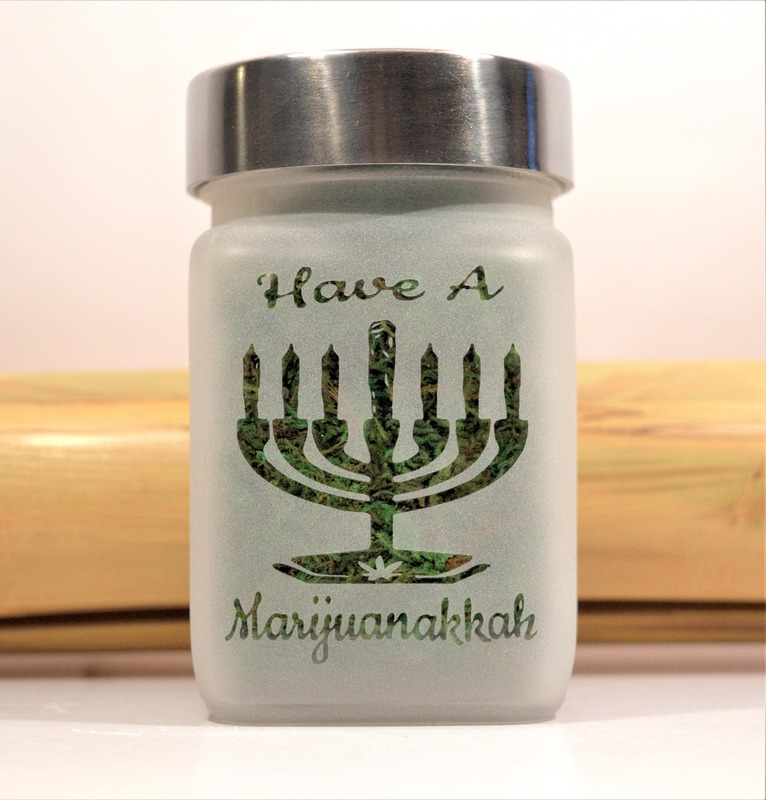 Limited Edition Marijuana Hanukkah Menorah personal stash jar. 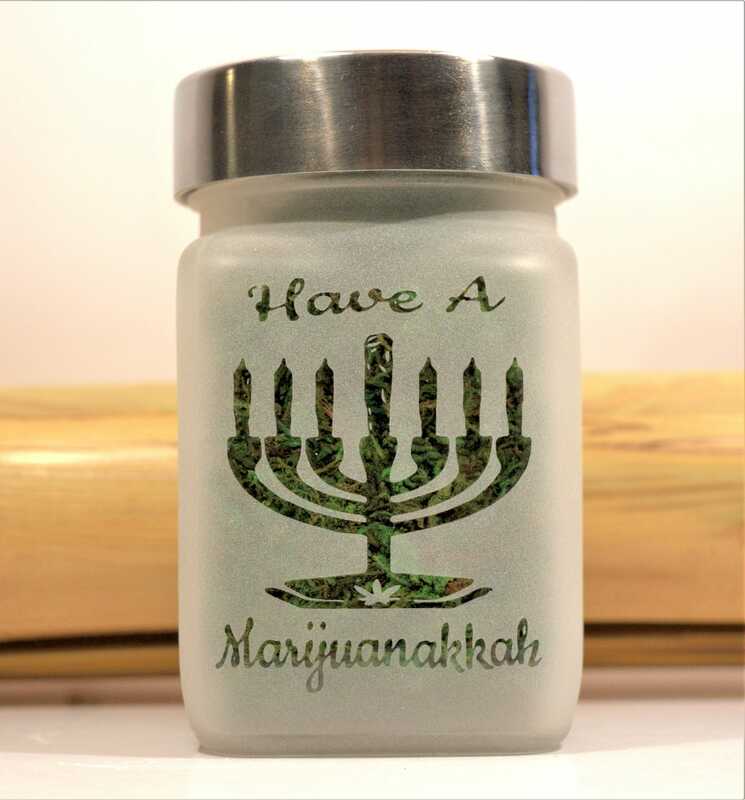 Stoner gifts for the holidays. 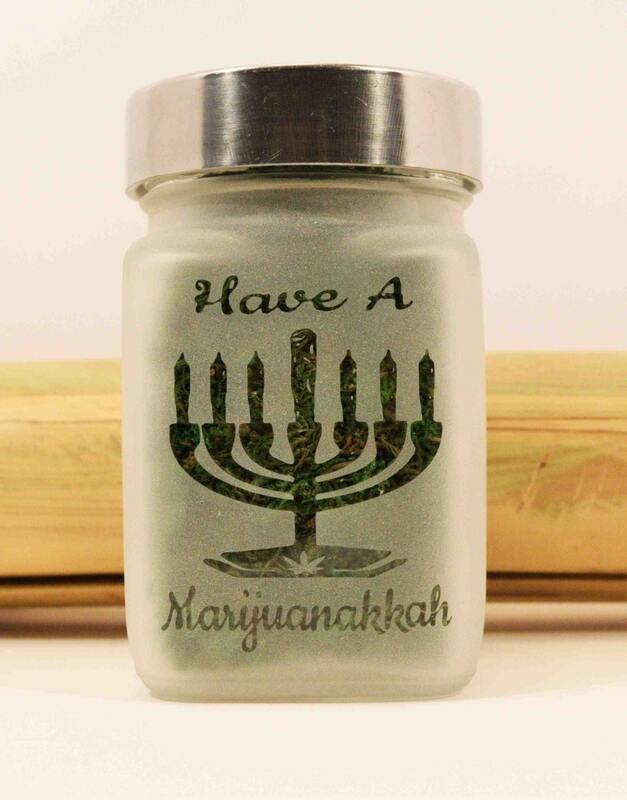 Your BFF Hanukkah gift this year will keep your herb and nugs fresh in these weed jars. 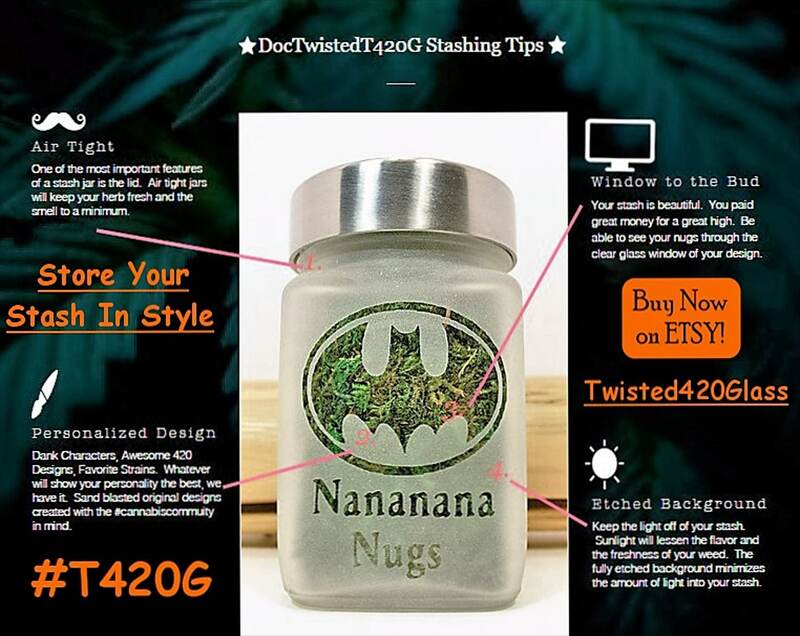 Food grade, airtight, smell resistant stash jar with brushed aluminum screw on lid. 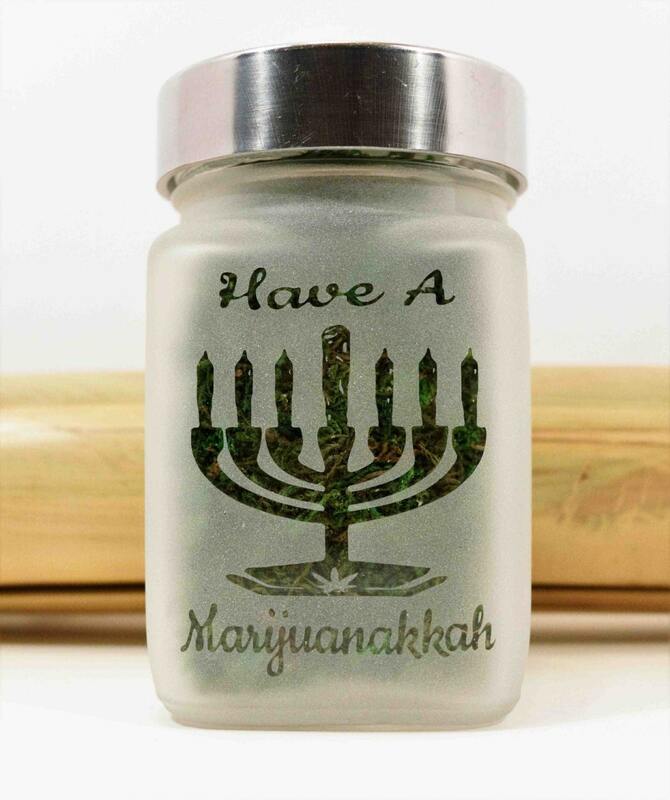 Limited Edition stash jar size roughly 2.5"w x 3.5"T. Smoking accessories for your favorite Jewish Stoner. 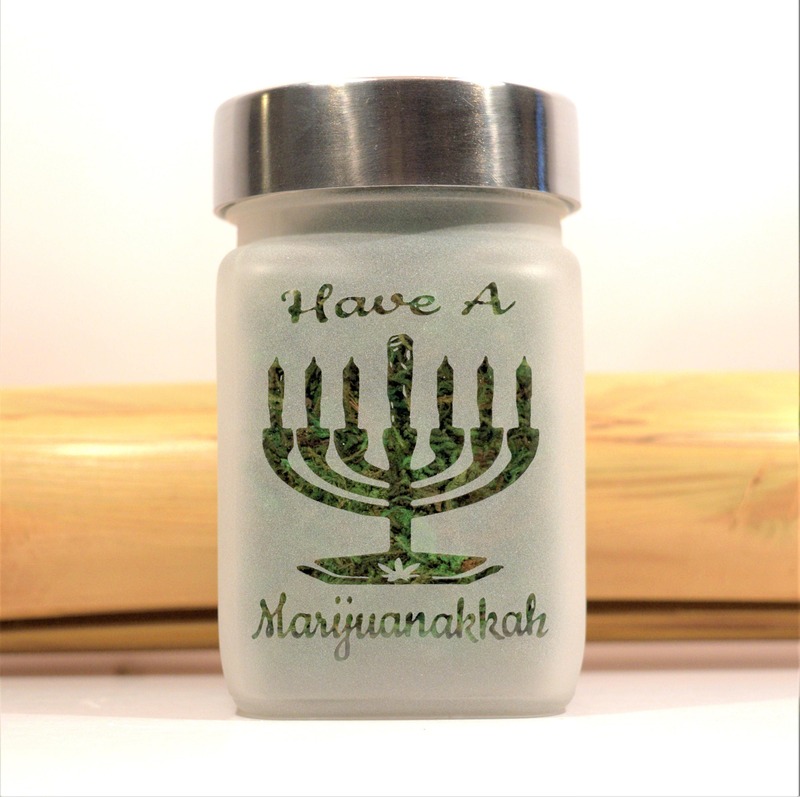 Note: The Have a Marijuanakkah image in photo has a Green back drop. 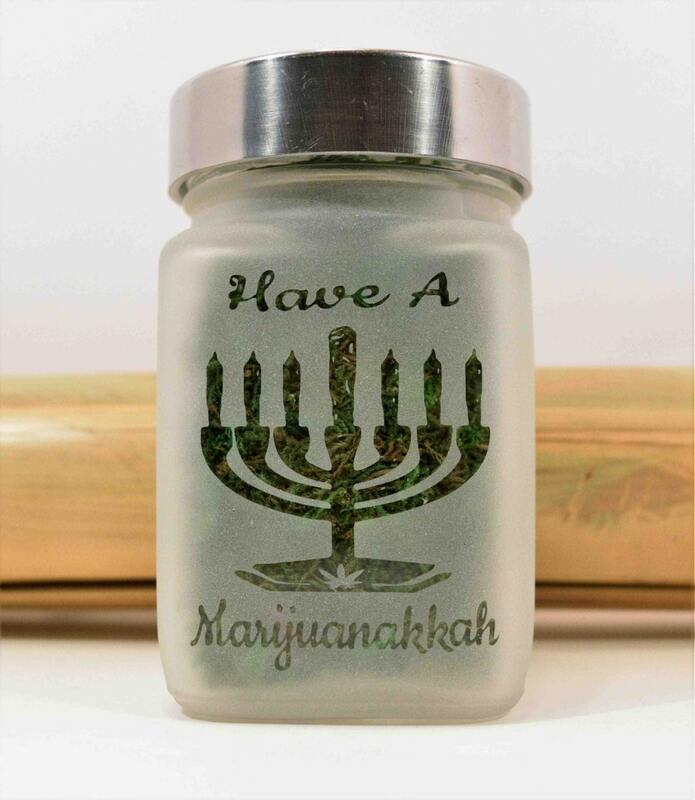 When it arrives to you, the limited edition Hanukkah inspired logo will be clear glass. 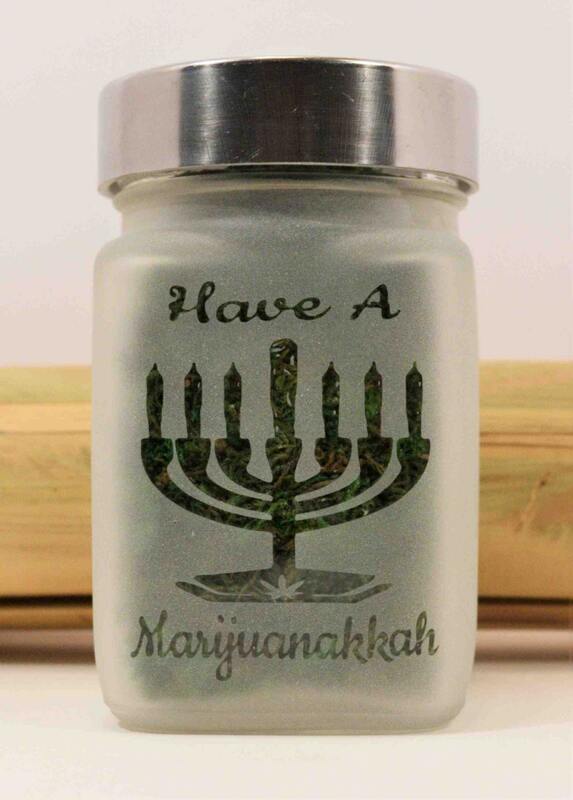 Other sides are solid etched glass .